The sanctions follow the unusual decision by more than 20 countries, including the U.S., to recognize the opposition leader of the National Assembly, Juan Guaido, as the interim president of Venezuela. Maduro was re-elected last year in an election some countries accused of being fraudulent. The once prosperous nation has been in an economic collapse, with several million citizens fleeing to neighboring countries. 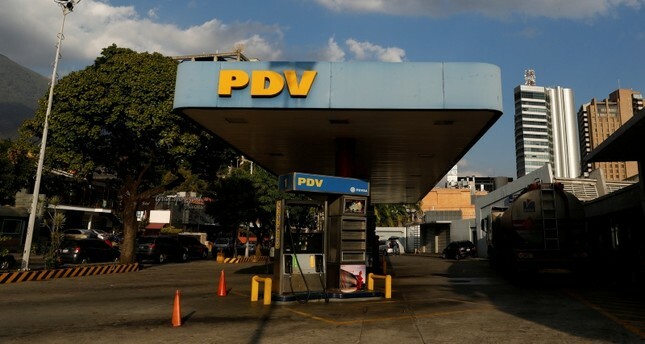 National security adviser John Bolton said he expects Monday's actions against PDVSA — the acronym for the state-owned oil company — will result in more than $11 billion in lost export proceeds during the next year. Venezuela is reliant on the U.S. for its oil revenue, sending 41 percent of its oil exports to the U.S. Maduro can divert the roughly 500,000 barrels per day of oil currently being sold to Gulf Coast refineries to markets in Russia, China, India, Malaysia and Thailand. Turkey, Russia and China have also all opposed the U.S. call to support Guaido, and condemned any international interference in the affairs of Venezuela. Iran has also put its weight behind incumbent president Maduro.